I don’t remember what we were mixing it with, but one of my first experiences with hardish liquor during late high school or early college days involved a very sweet and inexpensive product calling itself sloe gin. I don’t remember much from that night, but I do remember that it went down pretty easy. I think I actually might have liked it, callow youth that I was. 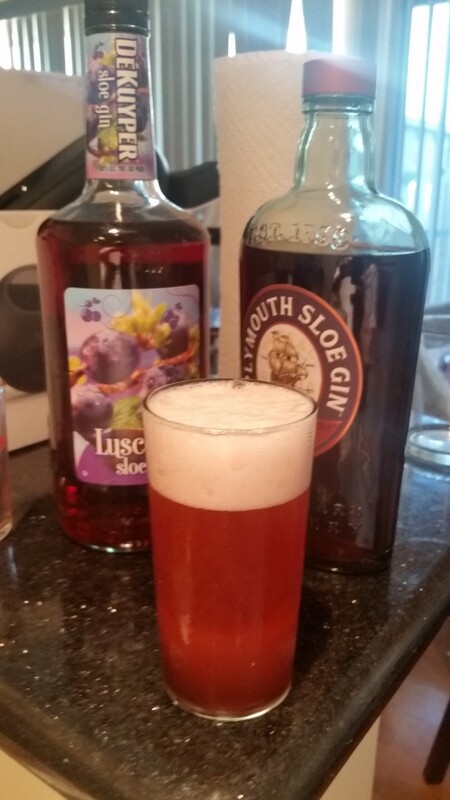 I also remember, even then, having heard of something called a Sloe Gin Fizz. I somehow feel sure that I had heard of it from a W.C. Fields radio program or movie or some such. Actually, until I looked at the bottle, I had assumed the Fields cocktail was a “Slow Gin Fizz.” Little did I know that there such a thing as a sloe, not so much a berry as relative of a plum. In all the years to come, I would never see a Sloe Gin Fizz on a cocktail menu. Cut to last week. While lingering in a little known San Fernando Valley discount booze emporium, I looked up and a bottle of Plymouth Sloe Gin was staring down at me. I had been used to seeing the stuff in the liqueur section of Bev-Mo and Total Wine, bottled by the likes of DeKuyper and Hiram Walker. This seemed to be a far more authentic brew, coming from the same company that is now the one and only known purveyor of Plymouth style dry gin. My interest ran high and, in the spirit of scientific inquiry, I purchased both a $30.00 bottle of the Plymouth product and $10.00 bottle of DeKuyper’s Luscious Sloe Gin. (As in “for lushes,” I guess.) Next came the research into recipes for what turns out to be a really outstanding drink that’s definitely deserving of a major revival…assuming you use the right products in the right recipe. I’ll give you two of them. Combine all of your ingredients except the soda water in a cocktail shaker. If you’re making the first version with egg white, particularly egg white straight out of the egg, you’re going to want do start out with a dry (ice free) shake to emulsify the egg white. 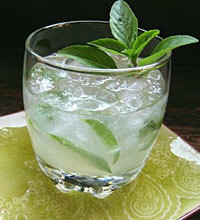 Then, whichever version you’re making, you’re going to add lots of ice to the liquid and shake it very vigorously. Next, you’ll strain into into a well chilled collins/highball glass. Try to make it a fairly small glass if you’re doing the egg white free version. The final stage is topping it off with chilled soda water (club soda and seltzer seem to work about equally well). What you’re going for is a nice foamy cap on your drink. If you’re using egg white, that won’t be a problem. In fact, you’ll want to be careful about pouring too much soda water and creating an overflow situation. If you’re doing the egg-white free recipe, there are serious bartending contraptions you can buy that might help out with your foam, but David Wondrich (who I pretty much stole recipe #2 from outright), suggests it’s also just fine to pour the soda water in “carelessly”…and, as the picture above proves, the man is right! Next, take a sip and beware. The Sloe Gin Fizz, particularly the egg white version, has brainfreeze potential. I truly dug both versions of the Sloe Gin Fizz, and which you choose is really your call, depending on your personal preferences. Either way, it’s achieves a very nice balance of sweetness and tartness and it’s extremely refreshing and light, as your base spirit is only about 50-60 proof. The egg white version is obviously creamier and may feel a bit colder in a milky sort of a way, but it’s actually a bit less picturesque in that you get a merely pink foam. While using the Plymouth Sloe Gin proved dramatically superior here — it’s very defintely “the good stuff” in this category — it is still a very acceptable drink using the DeKuyper el cheapo sloe gin. I cannot say the same for the egg white free variant, however. In terms of appearance, the drink was not the scarlet hue you see in the picture, but an ugly, synthetic bright red. It didn’t taste pretty either. Sloe gin, by the way, is not technically gin at all, but a liqueur traditionally made by soaking sloes in gin or neutral spirits. 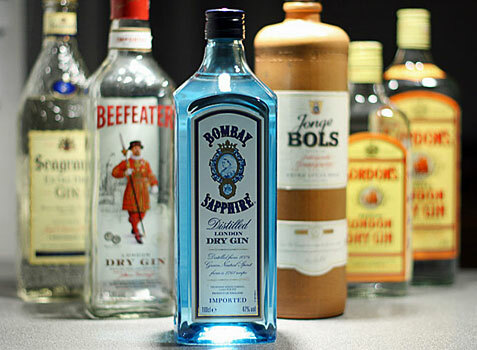 As to whether you should buy the cheap stuff or the good stuff, well, if you’ve got only $10.00 bucks, a lemon, soda water, and eggs or egg white in your fridge and you have your heart set on a semi-authentic sloe gin fizz, it’s a defensible purchase. Otherwise, I’d save up for the Plymouth. There’s only so much magic you can make with inferior ingredients.